A new, optional test will be administered for the first time when the California Assessment of Student Performance and Progress testing window opens April 1, 2019. The California Spanish Assessment will be offered to third- through eighth-grade and high school students seeking a measure of their reading, writing, mechanics and listening skills in Spanish. The California Department of Education intends it to be especially useful for the more than 1.2 million students who speak Spanish as their primary language, but it is also open to those learning Spanish as a second language. Because it is a free, computer-based test, the CDE is encouraging all local educational agencies with eligible students to participate. 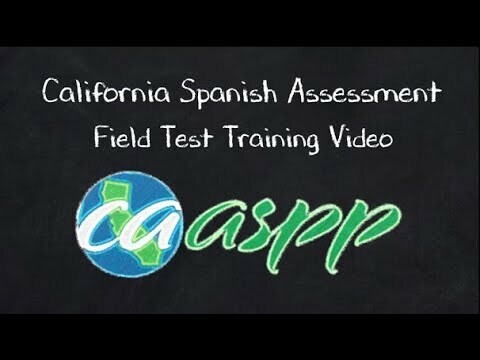 A field test was administered in fall 2018, and the CDE has since posted a test administration manual, directions for administration and a training video on the California Spanish Assessment website. The CDE estimates that the assessment takes about two hours to complete, depending on the student’s grade level. The assessment comes during a time in which California seeks to expand dual-language programs after the passage of Proposition 58 (also known as the CA Education for a Global Economy Initiative), and a renewed push to promote bilingualism and biliteracy goals. Voters overwhelmingly approved the proposition in 2016, which repealed bilingual education restrictions. Board members and district officials can learn more about how to expand dual language programs and promote bilingualism and biliteracy at www.csba.org/EnglishLearners. Included in the resources are publications on Proposition 58 Regulations, The English Learner Roadmap, and Expanding Bilingual Education Programs after Proposition 58.